How to I self report a criminal conviction? Do I need to keep the registry updated on any personal information? Yes, you are required to notify the registry in writing of any changes in your name or address. Official notifications and renewal forms are sent to your address of record. How do I get in touch with the Florida Nursing Assistant Registry? You can reach the registry at (850) 245-4125 or by email at MQA.CNA@flhealth.gov. change request by mail and allow 5-7 business days processing time before you renew online. Are there instances where I may begin my employment as a nursing assistant prior to obtaining certification? 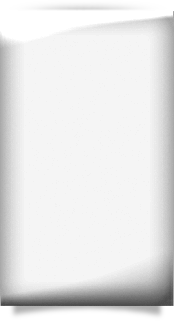 Yes, there are three (3) exceptions which allow you to work for a maximum of four (4) months (120 days) while awaiting receipt of your Florida certification: (1) applicants enrolled in or have completed a state approved program, or (2) applicants who have been verified as being actively certified in another state, or (3) applicants who have preliminarily passed the state exam but have not yet received the certificate. (See 400.211, F.S.) All of these are at the determination of the employer. Can a Certified Medical Assistant (CMA) work in a Certified Nursing Assistant (CNA) capacity without a CNA certificate? No, the CMA must have a Florida CNA certificate in order to work as a CNA in Florida. How do I become a Medical Assistant in Florida? Medical Assistants are not licensed in Florida; however, a medical assistant may become certified through the American Association of Medical Assistants, 800-228-2262. Please see Section 458.3485, Florida Statute (F.S.) for more information regarding medical assistants. As a Home Health Agency, can I use a Certified Nursing Assistant (CNA) as a Home Health Aide (HHA)? The Agency for Health Care Administration (AHCA) regulates home health agencies. For information on what a home health agency is allowed to do, please visit the Agency for Health Care Administration (AHCA) website at www.ahca.myflorida .com or call (888) 419-3456. What happens if I do not renew my CNA certificate by the expiration date? If you do not renew your certificate by midnight of the expiration date, your certificate becomes delinquent and you cannot work as a CNA until the certificate is renewed. In order to renew your license after the expiration date, you will need to meet the work and in-service training requirements, pay the original renewal fee and pay a delinquency fee. If the certificate is not renewed by expiration date, two years later, your certificate will become null and void and you will have to take the CNA examination again to be certified in Florida. How will the registry know if my certificate has lapsed? Am I required to attend a CNA training program or may I simply challenge the exam? CNA applicants may “challenge” the exam. Completion of a state approved CNA training program is not required unless the applicant has failed part of the exam three times. What exams are required to become a certified nursing assistant in the state of Florida? You must pass both the written and the performance exam offered by the testing vendor, Prometric, to be certified as a nursing assistant in the state of Florida. The only exception to this is for approved Endorsement candidates. Is there a time limit to take the part of exam, which I failed? Yes, you must pass both parts of the examination within two years to be certified in Florida. What if I fail part of the exam three times? You must complete a Board approved CNA training program (full 120 hour program) and retake both parts of the exam. You can find a list of approved training programs at https://floridasnursing.gov/education-and-training-programs/. If I completed the first half of my Nurse Aide Test in another state, can I come to Florida and complete the second half? No, the exams are not the same from state to state. If I become certified in the middle of the year, how many in-service training hours am I required to complete by my expiration date? 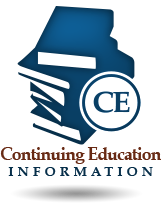 Each certified nursing assistant must complete a minimum of 24 hours of in-service training each biennium. For candidates certified during the biennium period, the training shall be prorated to 1.0 hours of in-service training per month from the month of initial certification to the end of the biennium. What are the mandatory in-service hours for CNA? The biennial renewal in-service hours shall include: Blood-borne Pathogens, Infection Control; Domestic Violence; Documentation & Legal Aspects for CNAs; Resident Rights; Communication with impaired clients; CPR skills; and Medical Error Prevention/Safety. A CNA’s agency or facility may require their employees to complete specific in-service hours as part of their employment. Is background screening a requirement for certification as a certified nursing assistant? Yes, background screening is required by Florida law for this certificate/license. All offenses are reviewed. How will the candidate know if he is not clear to be certified? If the result of his background report shows arrests and offenses, or incomplete dispositions, they will receive a notice from the Background Screening Unit requesting additional information. Depending on the types and seriousness of the offenses, the applicant’s file may go before the Board of Nursing for further review. If the Board denies the applicant’s file, the applicant will receive an official Intent to Deny Order and will have right of appeal. If I go through the Nurse Aide Training and there’s something in my background, will I still be allowed to work the four (4) month grace period? That determination is made by the employer. When is a background check required for the CNA applicant? All new CNA applications to the testing company (Prometric) and by Endorsement will be required to have a background screen prior to certification. If the Board denies the candidate a license, will he receive any refund of testing and background fees? No, there are no refunds if the Board does not approve the candidate. This is the same as in any other health care practitioner application or testing process. Can I be disqualified or ineligible to work as a certified nursing assistant? Yes. To be eligible for employment in long-term care as a certified nursing assistant, you must hold current certification and have no disqualifying offenses as outlined in Chapter 435 and Section 408.809, Florida Statutes. Licensees with a disqualifying offense may apply for an exemption (employment waiver) in order to work in certain facilities. Can only felonies disqualify me from employment? No, both felonies and misdemeanors may be disqualifying. The disqualifying offenses are outlined in Chapter 435 and Section 408.809, Florida Statutes. What do I do if I am told I am disqualified from employment due to a problem with my background screening? 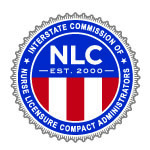 If you hold an active CNA, LPN, RN, or APRN license you may request an exemption review through the Department of Health. If it is determined the disqualifying offenses do not make you ineligible for employment, you will be granted an exemption, thereby, allowing you to work. Is a background check required when entering a CNA training program/school? This would vary from program to program. You will need to check with any prospective programs, but this will not satisfy the background screening requirements for licensure. What is the difference between a background check used for employment screening and a background screening used for licensing/certification purposes? For licensure or certification by the Board of Nursing, all criminal offenses are screened and reviewed prior to licensure or certification. For employment background screening, the employer uses a specified list of disqualifying offenses pursuant to Chapter 435 and Section 408.809, Florida Statute. If the employee has one of these specified offenses, he cannot be employed until he receives an exemption. Applicants for initial licensure are required to submit fingerprints via Livescan for a Level II background screening. Applicants who are fingerprinted after January 1, 2013 will have their prints retained by the Florida Department of Law Enforcement. What ORI number do I use to do my Livescan?